Dr Hilni became a lecturer in Chemical Sciences in 2014, at the Faculty of Science, UBD. 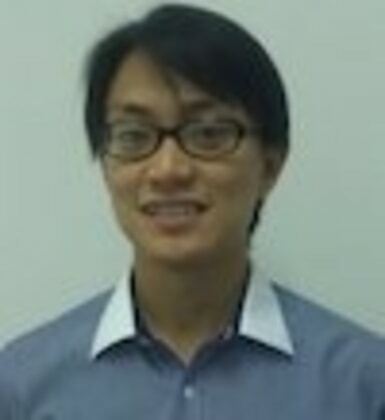 Prior to working at UBD, he completed a four year undergraduate degree in Chemistry (MChem) at the University of Oxford. Then he continued to do a PhD in Chemistry at the University of Warwick under the supervision of Professor Richard Walton. The title of his PhD thesis was ‘Characterisation of Mixed-Metal Oxides Prepared by Hydrothermal Synthesis’. Different metal oxides were synthesised using the hydrothermal method, focusing particularly on perovskites and doped titanium dioxide. These materials have interesting electronic and catalytic properties that can be potentially used in applications such as memory storage devices and hydrogen production via the splitting of water. By using hydrothermal synthesis, control on the crystal size, morphology and phase purity was achieved. The structure and properties of these materials were also studied using various characterisation techniques such as X-ray and neutron powder diffraction, electron microscopy, XANES, XPS, Raman and IR spectroscopy.